I'm a naturally beach-babe and I can't helped but fall in-love to the sands-and-beaches. So here I am bringing you top-notch beachfront resorts I wanna and still keep dreaming to soaked with. If a room with a great ocean view or a hotel close to a beach isn’t good enough for you, here are five resorts that are located directly on the sand. From Mexico, Florida, Greece, Hawaii and Fiji, one of these beachfront resorts has the greatest ocean views of all. Seeing these amazing photos makes me wanna grab my passport and jet-off and make my summer beach dreams come true! The Al Cielo Hotel on the Xpu-Ha Beach in Mexico is a beachfront boutique hotel twenty minutes south of Playa del Carmen in the peaceful Mexican Riviera. 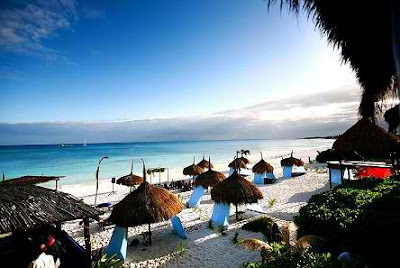 Compared to the large-scale resorts of the Riviera Maya, this charming resort provides a more intimate experience. With four rustic and elegant rooms titled Earth, Air, Fire and Water, guests can expect them all to be air-conditioned with king-size beds, and complete with terraces and colorful hammocks. Set directly on the beach, your private villa will be ninety feet from the edge of the beach and your terrace will be five steps away from the sand. With ultimate exclusivity, guests will receive individual attention from the Al Cielo staff about nearby tours and soothing spa services. The Knossos Beach Bungalow resort might be located seven miles away from Crete, but the sand is only three feet away from your private deck. 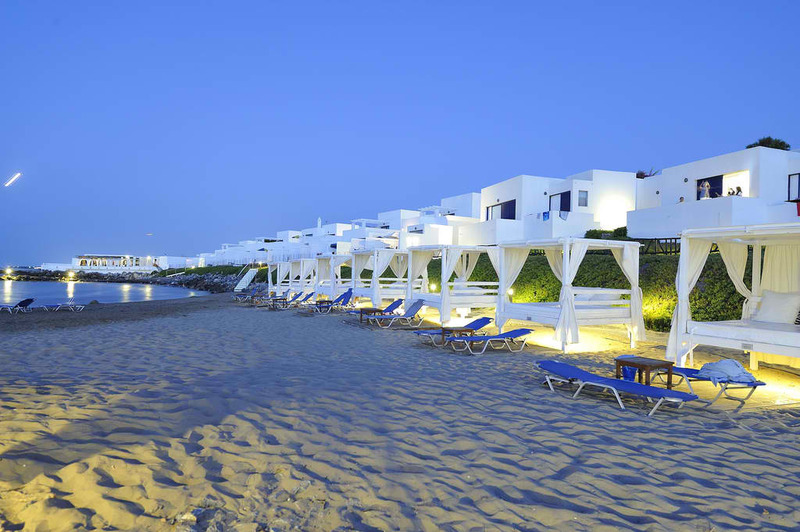 Filling the Grecian beach paradise are terraced rows of 120 white-washed mini villas. Don’t miss out on the waterfront rooms and suites that feature private sun decks. If you ever get tired of the beach, don’t worry—there are three pools, three bars and three restaurants to fill up your day with extra activities. If an intimate beachfront resort is calling for you, then Crusoe’s Retreat in Fiji is your ultimate location. Located on Fiji’s famous Coral Coast, Crusoe’s has 29 bures (traditional huts) that are located right on the sand. The resort is situated right next to an authentic Fijian village where you can learn about their ancient customs. Complimentary resort activities include sea kayaking, snorkeling, beach volleyball and bush hikes. As one of the few true oceanfront properties in South Beach, the Shelborne South Beach Hotel was originally a 1940s Art Deco haven. 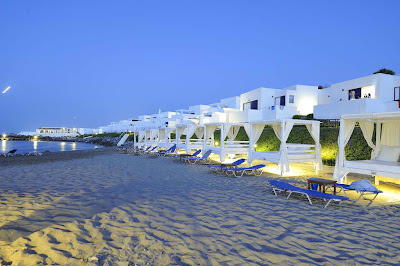 The hotel reopened in 2011 after a two-year, $20 million rejuvenation to expose the new tropical and relaxed grounds. After you spot the perfect private beach cabana and unwind in a warm Jacuzzi, swim out into the pool that reaches right up to the beach line. As South Beach’s most stunning resort, the Shelborne offers posh Premiere Suites with unparalleled views of the Atlantic Ocean. 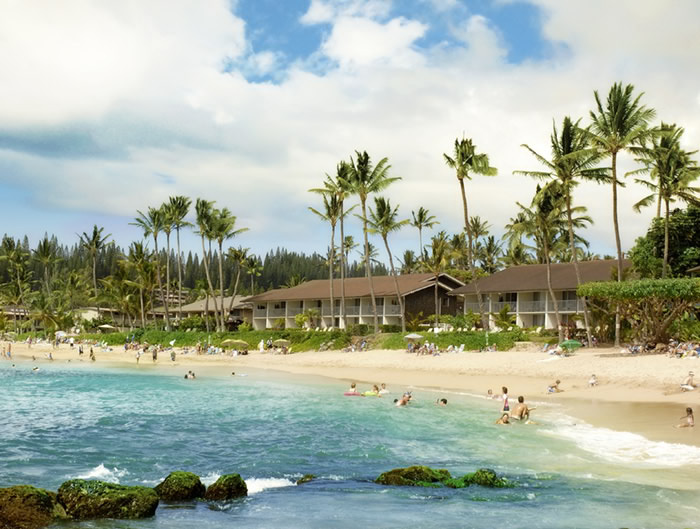 Located on one of the best beaches in all of Hawaii, the Napili Sunset Resort Maui is known for golden sand, snorkeling, surf and sunsets. Whales and dolphins are sometimes seen swimming by the bay. The resort’s two tropical-themed beachfront buildings are set so close to the beach that once you walk out of your lanai and across your private lawn, your feet will be planted on the beautiful sand of the Napili beach, which is about ten feet from your room entrance. Like you I'm a sucker for beaches too. It's raining on and off again but for me i still want to go the beach. ... yeah Adeline, for me relaxation is very important, and Boracay is overrated, and very crowded.. that's why it is called "vacation"
I like swimming the beach early in the morning, so an not worry about putting on some creams to avoid getting sunburned. That list is an awesome set of choices to consider. great photos! i would love to visit Mexico's and Shelborne in the future. looks so peaceful and relaxing! wow. great choices for beach adventures.